I believe that if you have the opportunity to work with a highly skilled team of specialists you will reach fitness goals you never thought possible. I have trained and coached individuals and groups throughout the UK from varied backgrounds: city-worker to celebrity; house-wife to athlete. Whilst all very different, they have shared common obstacles when it comes to achieving their goals. If you can absorb yourself in a fitness experience that is fun, motivating and scientifically designed, two things will happen (1) the habits and knowledge gained will stay with you and (2) the results could be life-changing. 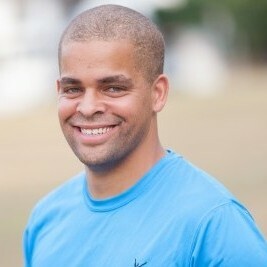 Jem spends most of his time carrying out 1-2-1 fitness personal training sessions throughout Surrey. He loves inspiring individuals to help achieve results they never thought possible and empowers the BodyUK coaching team towards huge achievements with their clients week after week. Coming from a sports performance and sports science background, Jem always leads his understanding around coaching and fitness principals with the most cutting edge body transformation techniques, which allows for rapid weight-loss and fitness results. Jem also works with fitness challengers from across the world who seek weight-loss and performance goals delivered from the power of online personal training and coaching. As the head coach of BodyUK, Jem is always leading our coaching team towards greater levels of success. He will be sure to pay close attention to your fitness experience as you become a member of the BodyUK family. Jem covers many locations for BodyUK including Cobham, Epsom, Esher, Oxshott, Raynes Park, Surbiton, Teddington, Weybridge and Wimbledon. When you contact BodyUK, please mention Jem Scragg’s name if you are interested in becoming another one of his fitness success stories. We aim to connect you with the very best personal training coach for your needs and fitness goals.